The Michelin Guide has arrived in its second destination of mainland China in 2018. On June 28, the listed restaurants are announced. 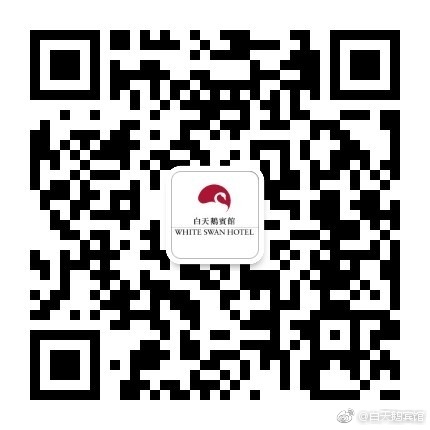 White Swan Hotel is the one and only hotel that has 3 restaurants listed on the first Guangzhou Michelin Guide. Jade River, the well-known and historic Cantonese restaurant, which with the traditional Lingnan style of decoration, has collects its first Michelin Star in the first Guangzhou Guide. The Jade River is a true landmark in Guangzhou for authentic Cantonese cuisine with culinary specialties created by our master-chefs to sublime heights! Savor delicately hand-crafted dim sum creations and signature Cantonese dishes that have made this unique restaurant an all-time favorite among local gourmets and patrons from afar. There are other two Chinese restaurants from White Swan have earned their Michelin Plate. The first Michelin Plate goes to Flavors of China, which is a good dinning place to discover the allure of the Orient overlooking the famous Pearl River whilethe guest indulge in authentic provincial Chinese cuisines, from spicy Sichuan to hearty Beijing and delicate Hangzhou expertly prepared with great innovative flair.This is a sure place to tantalize the guest’s senses and please the most discerning palates. Cantonese’s all-time favorite breakfast -‘Yumcha’ can be found in the other Michelin Plate listed restaurant Hongtu Hall. The traditional and elaborate Cantonese Dim Sums are freshly hand-crafted by the Dim Sum masters every day. The river-view Hongtu Hall is also a place full of sweet memories to oversea Chinese and local Cantonese, and it has also witnessed countless of events and banquets in the past several decades. Together with our chef masters, our banquet team will give you the greatest banquet experience ever. According to the Deputy General Manager, Mr Yu Lifu, three restaurants from White Swan Hotel are being awarded is a great honor, not only for the restaurant team itself, but also inspired the F&B team, even the whole hotel.With the glorious achivement,the White Swan F&B team will continue to dedicate in providing guests with an exceptional culinary experience. Your kids are leaving you soon! WHAT? For either returning to school or to start their first school days in life. Are you looking for spending more time with them, quality time? On 19th August, White Swan Hotel will host a Mooncakes Making Class for family guests. During this class, you will not only learn together how to make mooncakes but also spend quality family bonding time with your children. White Swan Mooncakes have been one of the signature pastries for the city of Guangzhou since 1985. In order to demonstrate as well as to pass on this delicate skill of making mooncakes, White Swan Hotel decides to host a Mooncakes Making Class from 15:00 to 17:30 on 19th August. Master chefs of pastry will guide you and your children through this journey of making this special one of the most famous Chinese pastry. Only 20 Groups of families will join this class on 19th. Sign-up is required through either the hotel hotline or its WeChat Online Shop. Families will be able to take back not only the mooncakes made by your own hands but also a gift package of 6 mooncakes from White Swan Hotel. From August 9 to 22, cooperating with Yangzhou State Guesthouse, White Swan Hotel holds a Yangzhou Gourmet Festival at Jade River Restaurant. Huaiyang Cuisine is one of the Four Great Traditions in Chinese cuisine. It is derived from the native cooking styles of the region surrounding the lower reaches of the Huai and Yangtze rivers, and centred upon the cities of Huai'an, Yangzhou and Zhenjiang in Jiangsu Province. Although it is one of several sub-regional styles within Jiangsu cuisine, Huaiyang cuisine is widely seen in Chinese culinary circles as the most popular and prestigious style of Jiangsu cuisine – to a point where it is considered to be among one of the Four Great Traditions that dominate the culinary heritage of China. This Yangzhou Gourmet Festival is supported by the first five star hotel in Yangzhou, Yangzhou State Guesthouse. The Vice Executive Chef Mr. Shao leads the chef team to Guangzhou, together with the team at White Swan Hotel, bringing the gastronomic originality and taste of Yangzhou delicacies to all the guests. From Lion's Head, Yangzhou Fried Rice, to Jade Shaomai and Thousand-layered Cake which are both regarded as the most outstanding Dimsums of Yangzhou cuisines, at this festival, we will try our best to meet your desire of having access to the authentic Yangzhou dishes at Jade River without taking a trip Yangzhou. Spain is a country which is regarded as “The Paradise of Gastronomies”, and Spanish cuisines, French cuisines as well as Italian cuisines are known as three major subsystems of western cuisines. From July 22 to August 6, supported by the Tourism Section of The Spain Consulate in Guangzhou, White Swan Hotel holds Spanish Gourmet Festival at River Café. During the Festival, the Chef Ana Montoya Bechara is specially invited to present authentic and impressive Spanish cuisines to all the guests at River Café, planning to please the most discerning palates. On the evening of July 22, the Spanish Gourmet Festival Opening Ceremony began with an enchanting song by a Spanish band. On behalf of White Swan Hotel, the Deputy General Manager, Mr. Yu Lifu, expressed his gratitude to every guest for their coming to the ceremony, especially to Mr.Segundo García, the Vice Counsul in Guangzhou. Mr. Yu also mentioned that during the Gourmet Festival, not only could the guests have access to palatable and typical Spanish dishes, but also every gourmet is able to appreciate the creative artworks of a female Spanish artist, Ms. Carmen Guzman. With her paintings, River Café is decorated as an art space full of artistic features. Spanish cuisine is an integration of the essence of Mediterranean and Arab cuisine, which is popular with the gourmets all over the world. It is introduced that during the food festival, guests could taste dozens of Spanish tempting dishes, including Roast Suckling Pig, Paella(Seafood with Rice), Spanish Cured Ham. Come to White Swan Hotel and enjoy the savory Spanish delicacies, you will surely be indulged in the romance and enthusiasm of unique Spanish culture. (9 September 2016, Singapore) – Worldhotels announces its new partnership with White Swan Hotel in Guangzhou and brings the grand total of affiliate hotels in Greater China to over 30 properties. As the very first hotel in China to join World Luxury, a fine collection of distinct hotels, White Swan Hotel is slated to become one of Worldhotels’ flagship hotels and a prevalent force in both the leisure and business markets. Situated on historic Shamian Island, White Swan Hotel recently underwent a three-year total makeover and has reopened in Q3 2015. The hotel is rejuvenated and revitalised, dressed throughout in white, and is a vision of oriental grace both inside and out. White Swan Hotel first opened in 1983 on the premise of its late owner, Hong Kong tycoon Henry Fok’s dream to own a hotel in China that was designed, built and managed solely by Chinese. Confident that the five-star hotel would reignite the passion of the Chinese people, and spur them on to secure a better future for both themselves and their families – better known as the Chinese Dream. On top of acting as a catalyst for this aspiration, the hotel also prides itself on its extensive collection of art and currently boasts over 2,000 intricate pieces of art prominently displayed in the hotel’s premises – including the hotel’s centrepiece, “Homeland Water” feature, that consists of a Koi pond, a man-made waterfall, rare stone rockery and a hexagonal shaped pavilion perched at the top of the fountain. From now till 6 December 2016, enjoy enhanced luxurious experiences with every room booking at White Swan Hotel. Get a free upgrade to Club room and enjoy club lounge privileges when booking stays at White Swan Hotel’s Deluxe room category; book stays at its Club room category and receive a complimentary one-way airport transfer. In addition, to celebrate the start of the Canton Fair in Guangzhou, White Swan Hotel will be providing their valued guests with a unique riverboat commute from the hotel’s private pier to the Canton Fair Complex. This complimentary River Express service is available from 15 October to 5 November. The 520 guestrooms and suites of White Swan Hotel are as spacious as they are stylish. With rooms sizes ranging from 60 to 90 square metres, many boasting sweeping views of the Pearl River or the city’s landscape, guests can take in the scenic and bird’s eye views of China’s third longest river through their panoramic windows or marvel at the concrete jungle of Guangzhou without having to leave the comfort of their rooms. The well-appointed rooms come adorned with exquisite wood panelling and accents, and are complemented by natural lighting that permeates the room during the day. The Deluxe rooms are equipped with an en-suite marble bathroom, overhead rain showers, deep soaking bath tubs and are stocked with designer bathroom amenities, an ideal sanctuary for both business and leisure guests alike. Jade River is White Swan Hotel’s signature Cantonese restaurant and a mandatory visit for food connoisseurs who relish in the freshest of produce and the preservation of its natural flavours. Dining at Jade Restaurant is almost akin to having a meal at an old Chinese courtyard, with the oriental-inspired interior and ambience of the restaurant, and its iconic Koi pond serving as a serene setting. Silk Road Grill is one of the hotel’s other epicurean options, this time serving up Mediterranean and other western influenced cuisines on a plate. The restaurant offers stunning riverside views as a backdrop and features the most of prime of cuts and seafood in their daily menu, guaranteed to tantalise even the most refined of taste buds. The dishes found in the menu of Flavors of China offer guests exactly what the restaurant’s name suggests, and promise the discovery of many distinct and authentic provincial Chinese flavours and delicacies, all in one sitting. The hotel boasts a well-equipped, two-storey Fitness Centre and also a yoga room, which provides a commanding view of the hotel’s lush green gardens and the magnificence of the Pearl River. With jacuzzis, saunas and steam rooms, guests can be assured that their body’s well-being will be taken care of and pampered. A team of dedicated therapists is armed with an extensive knowledge in anatomy, aromatherapy and massage techniques and will ensure that all body related stress are eased, after a visit to the unique Spa Sanctuary at White Swan Hotel. ● Worldhotels is a global brand that brings together some of the world's most unique independent hotels. With the tagline “Where Discovery Starts” it targets savvy travellers that seek an authentic and local experience when choosing a hotel. Worldhotels now offers approximately 450 hotels in 250 destinations and 65 countries worldwide, including hotels under development and in integration. ● With over 40 years of excellence in the industry, the company's mission is to provide access to luxury and upper upscale hotels of character and distinction. Each hotel in the Worldhotels portfolio has been carefully selected to ensure it meets the group’s strict quality standards. Each hotel is measured against over 600 quality criteria every year. ● Guests can also earn points with the group’s loyalty programme, Worldhotels Peakpoints (worldhotels-peakpoints.com), and redeem them for hotel vouchers andalso earn miles for each stay thanks to an extensive list of airline partnerships including 23 frequent flyer programmes by the world's premier international carriers such as Singapore Airlines, Air France, Cathay Pacific, Qantas, Lufthansa, and United Airlines, which are just some of the partners that make earning miles with Worldhotels easy. ● Through a comprehensive range of services that includes global marketing, sales, training, e-commerce and state-of-the-art distribution and technology, Worldhotels backs independent hotels with the power of a global brand while allowing them to retain their individual character and identity. In addition to its classic “affiliation model”, the group offers independent hotels a “full licence” branding solution which is the perfect alternative to standard franchise contracts. With the attention and expectation of many people from various social circles and compatriots of the Chinese nation both domestic and abroad, the White Swan Hotel held her high profile ceremony for resuming business in on July 14th, 2015 and started to host and serve guests from all over the world from July 15th. The ceremony was held at four o’clock p.m. The Hotel invited nearly 60 news media outlets to participate in the ceremony press conference. Mr. Jeff Huang, president of the White Swan Hotel, led the management of the hotel to answer the questions from the reporters. Later, the management showed the media and other invited guests around the Hotel. All distinguished guests spoke highly of the renovated White Swan Hotel, “The White Swan in her new dress looks even more liberal, dignified, composed and graceful”. In the evening, the White Swan Hotel presented a ceremony for the resumption of business with rich artistic taste exemplified by the Guangzhou Symphony Orchestra. It also showed guests the high positioning of the Hotel in the city after resuming business - the efforts to create a new landmark as a place of art and culture, abundant in the implications of the Chinese subculture south of the Five Ridges. The part of the ceremony that raised the most excitement among the guests present was the ceremony to restart the “Homeland Water Fountain” - This “spiritual resting place” that harbours the nostalgia of countless overseas Chinese, woke up again to witness more nostalgia and patriotism of overseas Chinese who “have dreamed about this place the most after leaving the homeland” and the city of Guangzhou. Mr. Jeff Huang, president of the White Swan Hotel Group, said affectionately, “The White Swan Hotel sets sail again, loaded with the deep love and expectation of various circles of the society and with our conviction and dreams. We will continue to carry forward the spirit of the White Swan. We will bravely shoulder our commitments and realise rejuvenation in the present day when competition in the hospitality industry becomes increasingly intense in Guangzhou.” The inspiring speech of Mr. Jeff Huang harmonised the people of the White Swan Hotel like a passionate river, to sail together and continue the legend of the enterprise. Looking back to the old days in history, we will find what stands behind the attention and expectation of our friends in various circles in society and the Chinese people in the country and all over the world. It is not only their support and waiting for over three years but also the eternal echo of the resolute decision on reform and the opening up over thirty years ago, which the world still remembers today. Mr. Henry Fok Ying-Tung said ambitiously in the past, “The White Swan Hotel will become a large modern hotel designed by the Chinese people, built independently by the Chinese people, and managed by the Chinese people. It will be a five-star hotel that can revive the passion of the Chinese nation.” As a milestone in the history of Chinese hotels, the White Swan Hotel was the first hotel in China to be accepted as a member of the organisation “The Leading Hotels of the World” and also the first hotel in China to become a member of the Union Internationale Des Concierges D'hotels. It is a hotel that receives foreign guests. It has received on behalf of China political leaders and business tycoons, those such as Queen Elizabeth II of Great Britain, US presidents George Bush and Richard Nixon, German chancellor Helmut Kohl, Fidel Castro, Henry Kissinger, Lee Kuan Yew, and Bill Gates. However, what is more important in the memory of common citizens is that the White Swan Hotel was the first luxury hotel in China that opened its doors to common people. All this was because Mr. Fok stood fast against all kinds of objections and left the most brilliant page in the epoch of the hotel in the reform and opening up: “The White Swan Hotel must open all its doors. When I run a hotel in Guangzhou in China, I hope that the common people in China know that the world will become better and that the reform and opening up will bring them good days. We can repair or buy new things when anything is broken and I will pay for it.” In that special time, Mr. Fok broke and changed some limits in system and ideology. His efforts seem to be nothing special when people look at them today. But as he said, “a hotel can reflect the changes in a country”. Such bravery to be a pioneer in the nation will be deeply remembered by the people and history forever. Mr. Fok’s true sincerity has lit up the China Dream of millions of Chinese people. A small exhibition hall has been built in the White Swan Hotel in this renovation project where photographs and various items from celebrities are displayed to present strong historical interest. It needs to be mentioned that a bronze statue of Mr. Fok, founder and investor of the White Swan Hotel, was placed in the centre of the exhibition hall. Mr. Fok always remembered his “swan girl” even in his late years. The White Swan Hotel hopes to commemorate Mr. Fok and his contribution to China and the Chinese people with this artwork. To the White Swan Hotel, this renovation is not a hotel decoration project in the common sense but a renovation project for excellent historical hotel architecture. Her renovation improves and enhances the street landscape in Shamian Street and plays a demonstrative role for renovating and improving historical and cultural street blocks. The renovation was the largest project of its kind during the 33 years of the hotel’s history since its establishment, and involved over 100,000 m2 floor area. After the renovation, the White Swan Hotel not only carries forward the original cultural elements in architectural design with classical features of the Chinese subculture in the south of the Five Ridges, but also shows integration and innovation in Chinese and international culture. Thus the Hotel exhibits a rich, deep historical and cultural atmosphere. The garden-styled atrium in the lobby integrates the essence of the garden architecture found south of the Five Ridges and also that of the culture of the whole Chinese nation. It is the place that represents the vitality and design spirit of the entire hotel. The scenery of the lobby forms an integral whole with its surroundings so that people feel that the scenery has grown out of the land beneath it rather than being “moved in” from somewhere else. This classical representation of the combination of Chinese hotel lobby with classical Chinese garden design is the creation of She Junnan and Mo Bozhi, two architectural masters of the style of the region south of the Five Ridges. Leoh Ming Pei, an American Chinese architect born in Guangzhou, said openly after he carefully scanned the lobby of the Hotel, “This is evidence that China has talented architectural masters”. The “Homeland Water” Fountain in the atrium of the lobby of the White Swan Hotel is a place which enjoys the greatest popularity and exposure ever since the Hotel started business over 30 years ago. Therefore, the entire scenery of the “Homeland Water” Fountain was retained in the process of upgrading and renovating the whole Hotel. Each brick, tile, rock, bridge, plat, and even things as trivial and tiny as moss, as people see now, have been kept intact. The “Homeland Water” Fountain consists of four parts: rare stone rockery, artificial waterfall, waterside pavilion and koi pond, and gold-top hexagonal pavilion. Long vines of Chinese asparagus grow and hang on the ambulatories on two sides. These plants realise the reflection on vertical greening and invite visitors to look up and down the beautiful scenery. The contour of these ambulatories produces the feeling of extension in space and directly leads people’s sight line to the centre of the whole picture - artificial waterfall and gold-top hexagonal pavilion. In the scenery of the “Homeland Water” Fountain, people can see bubbling waterfall and gurgling stream. The flowing water is ingeniously connected to the broad water scene of the Pearl River behind the gigantic full-length curtain wall of the Flowing and Floating Pavilion. Thus the atrium enjoys the combination of three water scenes and displays the great vitality that comes from flowing water in multiple streams. The renovation office of the White Swan Hotel and their R&D personnel make use of the feature of the atrium that it has many water bodies and developed an air-conditioning energy conservation system with the atrium water curtain. As the air-conditioning system has residual cooling capacity late at night, the system diverts such residual cooling capacity to the “Homeland Water” Fountain so that water temperature is controlled at round 10oC.It makes use of the circulation of the pond and the small waterfall of the “Homeland Water” Fountain. In the day, the radiant cooling of cold water and the free convection of air provides a refreshing and comfortable cool feeling to guests in the space in and around the hobby and atrium. It also lowers the cooling pressure of the central air-conditioning system in the day so as to achieve the purpose of saving energy consumption. On the top of the rockery, there is a brilliant hexagonal pavilion; a gold pavilion with eaves like flying wings, supported with six red-painted wooden pillars with poems inscribed on them. People also discarded the common practice of using golden paint for the top of a pavilion and boldly used real gold foil to cover the top with reference to the gold tops of Tibetan Buddhist temples and the Potala Palace. Such technique gives the “Homeland Water” Fountain a fitting, sublime and divine style. The river of the homeland is the most beautiful and the love of the homeland is the deepest. The scenery of the “Homeland Water” Fountain embodies not only the essence of the design of the hotel but also its symbolic meaning in the reform and opening up and the memories of several generations. The White Swan Hotel has pioneered trends in each epoch. In this renovation project, professionals not only paid attention to replace old looks with new appearances but also, considered the long term perspective. They applied many new technologies and materials for energy saving and environment protection with respect to the energy consumption related to the external walls and the inside of the hotel. According to the requirements of relevant government specialist departments on examination and approval with respect to energy saving, the energy consumption of the White Swan Hotel after the renovation project should become 30% lower than that in 2012, before the renovation. Therefore, during the renovation, the technical team implemented a series of energy saving projects, such as external wall and façade protection, external wall thermal insulation, external window thermal insulation and sun-shading, rooftop greening and thermal insulation. Such measures give the entire building better thermal insulation and heat preservation and greatly lower the losses in regular energy consumption such as air-conditioning and heating. Besides, in order to give guests a better and more comfortable environment, large amounts of diatom mud paint, a new environment-friendly material, was used in the rooms of the hotel and, particularly, in guestrooms. So after the renovation, no hazardous odors, such as methanol and paint, which are common for newly-decorated building, could be smelled in the lobby or the guestrooms. People can breathe fresh air at any place and at any moment. Naoko, founder of the company NHDC, and a group of local designers who had infinite love of the White Swan Hotel, led the interior design project for the renovation of the hotel together. Naoko was once the chief designer of Hirsch Bedner Associates (HBA), a worldly-renowned hotel design company, and played important roles in many successful hotel projects. Aesthetic ideas that show the mutual mergence between Chinese and western concepts have been employed in the design project of the White Swan Hotel. People-oriented details can be found everywhere. The core idea of the design is: to carry forward the aesthetic and historical culture of the White Swan Hotel. People endeavor to design spaces that conform to the level of usability and comfort that the guests need. Modern high-tech design elements have been incorporated in the environment while the classical elements of the past are also integrated. These include the installation of intelligent electric curtains, HITV and security prevention and control system. Attention has also been paid to the experience and feeling of comfort and spatial area. In this renovation project, the number of guest rooms of the hotel was adjusted from 843 to 520. There are altogether five room types: Premium executive suite, executive suite, deluxe executive suite, deluxe room and standard room. In the planning and design of room types, designers make full use of the three major advantages of the White Swan Hotel, namely the river scenery, the Shamian street architectural landscape, and classical vintage room type. Among these rooms, deluxe executive suite and deluxe room with river scenery have original and unique spatial distribution: The bathroom is moved to the window by the river so that the level of luxury and comfort has been greatly improved. Most of the guestrooms face the White Swan Pond and resident guests can get a full unparalleled river scene view. The floor space for business meetings, banquets and stores was increased in the areas for catering services and banquets. Fitness and entertainment spaces were expanded. BH areas and operation movement lines were optimised and adjusted. An executive lounge has been employed particularly for guests on the executive floor. With an area of 650m2, it is the top standard executive lounge among the high star rating hotels in Guangzhou with complete function, beautiful scenery and large floor area. At the same time, the hotel has made full use of its original space and added a small garden to the top of the glass concert hall and a SKY bar to the top of the specialty restaurant. The newly-built 1983 secret wine cellar is a pleasant surprise in the renovation. This is the only wine cellar hidden under a waterfall in China at present. The wine cellar displays an antique, elegant and peaceful style. Here, under the gracefully flowing waterfall, guests can order their favourite wine, enjoy the unique atmosphere, and relax from the tension and anxiety caused by busy modern life. The Flowing and Floating Pavilion Cafeteria on the first floor looks more spacious and well-lit. The full-length glass wall on the side by the river has been retained. The private dining rooms of the specialty restaurant and other restaurants have all been relocated to places by the river to increase the scenery advantage of the restaurants. Guests can get a full view of the steam boats travelling on the White Swan Pond and the beautiful river scene around. The renovated White Swan Hotel has won much praise because of its rich artistic atmosphere. In particular, A Branch of Spring in the South of the Five Ridges, a giant painting created by Mr. Lin Yong, a famous painter, national-level master of fine arts, and vice president of the China Artists Association. This is an artwork of great elegance filled with the features of the art in the area south of the Five Ridges, adding rich artistic taste to the lobby of the hotel. The strong colours, powerful lines and densely-painted flowers and grasses on this great artwork of Mr. Lin Yong all show superior aesthetic feeling and profound meaning. The artistic technique used on this painting was Yangjiang lacquer painting, an intangible cultural heritage of the Guangdong Province and an art genre full of the features seen south of the Five Ridges. The paint base is made with lacquer, boiled tung oil, processed varnish, and black lacquer. Pigments like silver grey, orpiment yellow, malachite green, ruby red and titanium white are added to the paint. In addition materials like mother-of-pearl inlay, eggshell, gold and silver foil, stone flake, flash phosphorus flake are also used. The painting was created with over a dozen processes such as embedding, lacquer pasting, carving and filling-in, and grinding. The whole artwork consists of three pieces of lacquer painting. Its colours are stronger than the colour presentation in common oil painting and the whole painting looks more relief-like. People can feel a strong contentment when standing in front of this fresco and have excitement and pleasure arising spontaneously in their heart. In this painting, peach blossoms and branches symbolise the realisation of one’s ambition as “图” meaning ‘great plan’ has the same pronunciation as “桃” meaning ‘peach’ in Cantonese. Banana leaves symbolise an enterprise that will last centuries and also an enterprise of gigantic size. As Mr. Lin Yong said, the painting’s name “A Branch of Spring in the South of the Five Ridges” implies that the White Swan Hotel will become the top enterprise in hospitality in the region after its renovation. There are altogether 2,000 artworks displayed in the hotel. Among them, around 1,600 are placed in guestrooms. These artworks mainly come from the following sources: The first part includes the artworks of the cultural personages who checked in and created and presented their artworks to the White Swan Hotel over 30 years and the hotel accepts them into its art collection. The paintings that the Guangzhou Academy of Fine Arts created for the resumption of business of the hotel are the second part. The third part includes the artworks created for some decoration projects for the resumption of business of the White Swan Hotel.